If you are facing drug charges, there may be a lot at stake. Criminal convictions for drug offenses may follow you for the rest of your life, hindering your ability to get a job and harming your reputation. If you have been arrested for or accused of a drug crime, you should speak to a qualified and knowledgeable criminal defense lawyer. I am Detroit drug crime attorney Jonathan Jones, and I have over 20 years of experience helping people like you. I recognize the seriousness of the charges that you are facing and the stress that you are undergoing, and I can take immediate action to defend your rights. I take pride in keeping an open line of communication with each and every one of my clients. When you call or text me, you will be able to speak to me directly about your needs and concerns. I can help you develop a strong defense against any type of drug charge, such as those related to drug possession, the illegal possession or sale of prescription drugs, prescription fraud, drug trafficking, drug manufacturing, or the use of medical marijuana. The penalties for drug crimes will vary depending on the specific situation. For example, the most serious drug charges in Michigan may lead to life imprisonment and up to $1 million in fines. Even the possession of small amounts of controlled substances with the intent to sell could send you to prison for up to four years. Other life-altering consequences of a drug crime conviction may include losing your privilege to drive and having a professional license suspended or revoked. This makes it critical to do everything that you can to minimize or avoid the consequences of a charge. Searches by law enforcement and the collection of evidence often play a key role in drug crime cases under state or federal laws. If an unlawful police search or seizure led to the criminal charges against you, your attorney may be able to expose this misconduct and file a motion to suppress the evidence that was collected during the search. Under the Fourth Amendment of the U.S. Constitution, citizens have a right to be free from unreasonable searches and seizures by law enforcement. This right applies to your home, vehicle, and person, as well as any areas in which you would have a reasonable expectation of privacy. In order to conduct a lawful search, police generally must have a valid search warrant supported by “probable cause,” which is a reason to believe that criminal activity is taking place. There are a few exceptions to this requirement, but they apply only in limited sets of circumstances. When drugs or other evidence are seized during an unlawful search, they should not be admitted in court. If the evidence is not allowed to be considered, this often leads to the prosecutor reducing or dismissing the charges altogether. As a result, I will carefully assess the circumstances of how the evidence against you was obtained to determine whether its introduction may be challenged on constitutional grounds. This is just one example of the many ways that I may be able to help you fight a drug charge. 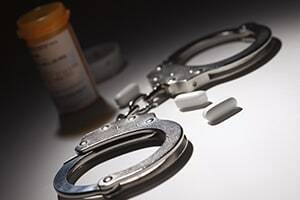 If you or someone close to you has been charged with an offense involving controlled substances, it is vital to speak to a capable Detroit drug crime lawyer. Regardless of the circumstances of your case, I can develop a personalized strategy for you and make sure that you understand the full range of your options. I represent defendants throughout Oakland, Macomb, and Wayne Counties. You can call or text me at (248) 310-3399 or contact us online for a free consultation. I am also available for you if you need a domestic violence attorney or assistance in fighting charges of weapons offenses, violent crimes, or other offenses under Michigan or federal laws. In life sometimes good people do or experience bad things. These people should be as lucky as I have been to be represented by Jonathan Jones. Mary P.
Thank you again you are a excellent lawyer I wish you many more of those outcomes throughout your career as a dedicated lawyer. Rick R.
Thanks for your professional representation on my recent case. I was arrested when driving through Detroit and, being from out of state, had no idea on how to proceed in responding to the charges. Andy D.
Jonathan, You advocated my position with the utmost professionalism and clarity. Thank you for your fine representation. Don M.
We serve clients throughout Michigan including those in the following localities: Wayne County including Dearborn, Detroit, Grosse Pointe, Livonia, and Taylor; Oakland County including Farmington, Pontiac, Rochester, Royal Oak, Troy, and Waterford; Monroe County including Carleton, Monroe, and Temperance; and Macomb County including Macomb, Mount Clemens, New Baltimore, Sterling Heights, and Warren.